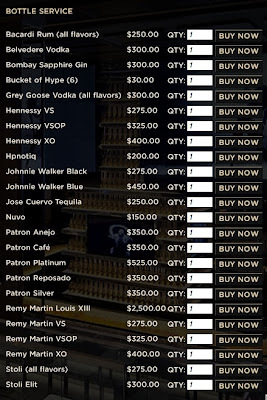 The saga of the pending Barclays Center liquor license--actually, some 54 separate licenses--took two twists yesterday. 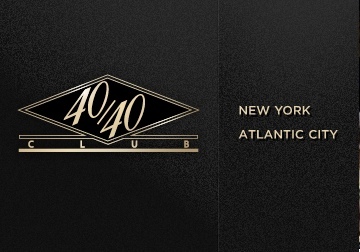 First, arena operators announced the presence of Jay-Z's sometimes controversial 40/40 Club, apparently to include bottle service. Then Brooklyn Community Board 8, hitherto absent from the debate, unanimously agreed to ask the State Liquor Authority (SLA) for an earlier cut-off time at a massive facility just past its borders. The 40/40 Club announcement, like nearly every news release regarding the Barclays Center, was surely strategized to drive headlines, and it did. The timing--after the liquor license process is well along--may also have been strategized to avoid Community Board scrutiny. (The SLA holds the second day of a two-day public hearing June 20 at 7 pm at its office in Harlem. 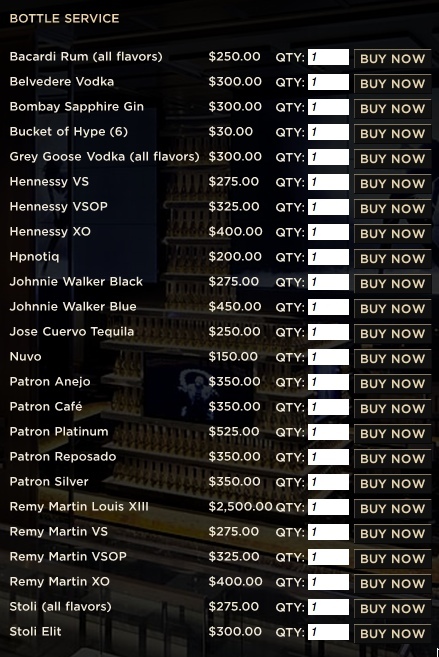 When representatives of the arena and Levy Premium Foodservice made presentations to Community Boards 2 and 6, beginning in April, there was no mention of the 40/40 Club, or bottle service, a mode of distribution that provoked CB 6 to express disapproval of the liquor license application, given that it's usually limited to less residential areas. Beyond that, the Community Boards were told that alcohol service at the arena would end, as per league standards, by the end of the third quarter of NBA games, and before the end of other events. Only after the two CBs expressed conditional support for the license, with most conditions easily met, did the applicants acknowledge that 1,800 VIPs--the equivalent, perhaps, of nearly two dozen neighborhood bars--would be allowed to drink for an hour after the end of each event. The SLA is statutorily required to consider Community Board input, rather than general public input. Will there in fact be bottle service? It's a feature of the 40/40 Club format, though the Barclays Center press release didn't mention it. But it did imply that there would be no deviation from the formula. According to Jim Vogel, a staffer for state Senator Velmanette Montgomery, a query to Forest City Ratner's external affairs VP Ashley Cotton was met with no confirmation either way regarding bottle service. Located on the suite level, the 40/40 will have many of the same high-end features as its Chelsea flagship. In recent years, the hotspot has been marred by on-site brawls, union protests and health code problems. Lauren Menache, a 40/40 spokeswoman, said the Barclays offshoot would only be accessible to ticket holders of Nets games, concerts and other arena events — and that it wants to serve booze until 2 a.m. The Post also reported that the club will be open to any arena patron, which raises questions about whether, in fact, only the VIPs will have access to alcohol service after hours. The Community Board 8 general meeting was held last night in the eastern end of the district, at a church on Bergen Street east of Utica Avenue, nearly three miles from the arena, a sign of how the Atlantic Yards site is split among three districts. Indeed, noted Second Vice President Rob Witherwax, the board usually doesn’t comment on licenses outside its district. “However, for a variety of reasons, the executive board agreed we'd be shirking our duty were we not to weigh in on the liquor license” he said, citing more than 50 separate license requests and the fact that the surface parking lot, which will have 541 vehicles from arenagoers, is in CB 8. Board members voted 38-0, with one abstention to draft testimony based on a submission by the Dean Street Block Association, 6th to Vanderbilt avenues. Witherwax noted that new information emerged to which CBs 2 and 6 were not privy, including bottle service and after-hours service. “Even though we do not have control over the site, we have the parking lot,” he said. “Thousands of people [will be] walking through our streets," he said, citing not only those going to the on-site parking lot but otherwise in the district. "An earlier [service] cutoff would be better for our community." Witherwax cited the block association’s letter, which noted that the Barclays Center’s presence depends on an override of city zoning, and “arena operations are woven into our community,” with the walk to the surface parking on residential Dean Street. Another sports facility close to residences, Wrigley Field in Chicago, has only 30 evening events a year and liquor sales must end no later than 9:30 pm, added the block association. The letter noted a BrooklynSpeaks petition for drink sales to end after half time at a NBA game, 45 minutes before the end of an event, or 10 pm, whichever comes first. That’s highly unlikely--a negotiating position, perhaps. I suspect the NBA standard won't budge. However, given that the arena setting is somewhere between Madison Square Garden and Wrigley Field, neighbors do have an argument for a cutoff before the currently contemplated 2 am. And surely they have an argument about after-event service, which was never disclosed.